Only one day to see Bratislava? Enjoy it to the full. 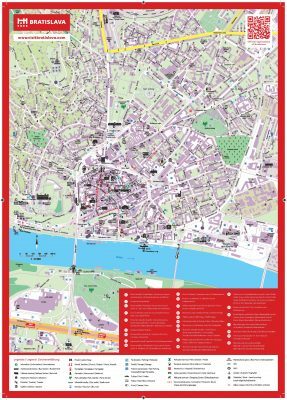 Start with browsing our professional guidebook, which is full of good advice on how to see the best sights in Bratislava in just a few hours. 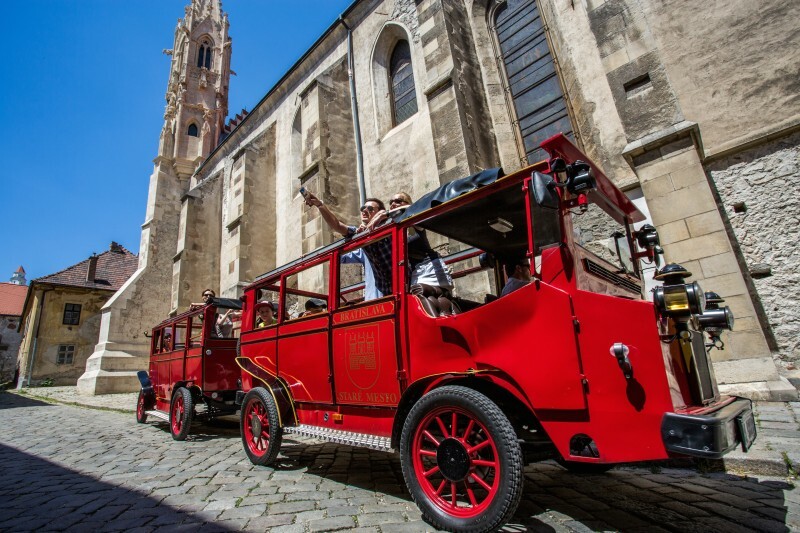 If you have not had time to book a tour in advance, you can see the town during a ride in one of the little red Pressburg sightseeing cars running around the centre, including the castle. During the main season when a catamaran ship the Twin City Liner arrives from Vienna, the Pressburg car leaves the port with a live German and English speaking guide; other starting points include the Opera House and the Main Square, where the little cars operate throughout the day, offering an audio guide in 13 languages. Feeling hungry? Excellent, because Bratislava is peppered with good restaurants. 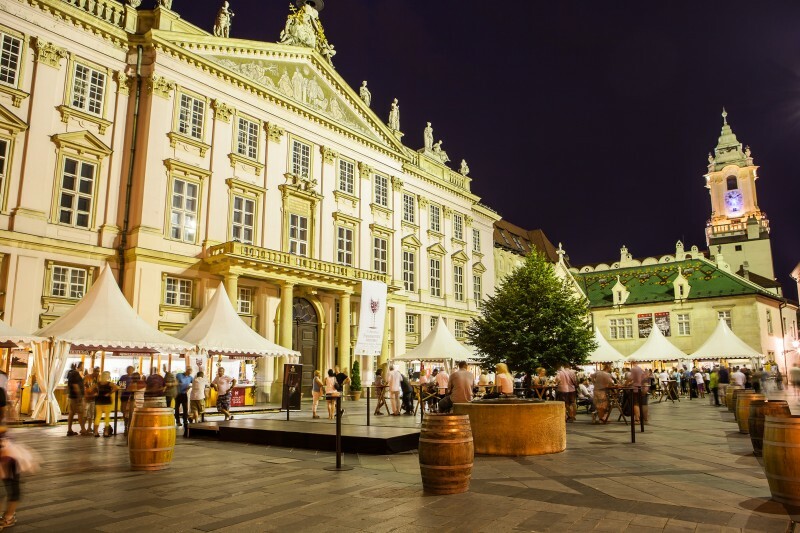 In the Old Town, you can choose from a number of traditional or contemporary restaurants with international chefs serving menus brimming with steaks, Slovak or fusion cuisine. If you feel like having a light snack, it’s no problem. Recently, hipster cafés and bistros have mushroomed in Bratislava. Healthy food lovers will be especially pleased and will find freshly ground coffee, home-made refreshing lemonades and a healthy “homely” menu. Visit the Zeppelin café, not far from the Main Square, where alongside irresistible cakes you can also pick up traditional souvenirs. 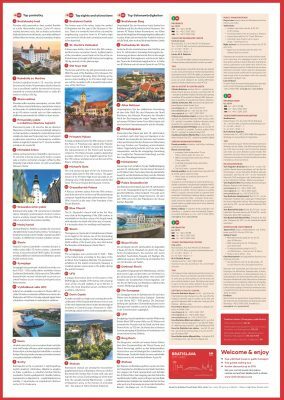 If you are unsure which café or restaurant to choose, our tourist information centre will gladly help you pick the right place. If you feel like spending an afternoon browsing a museum, you needn’t go far. Right on the Main Square, in the Old Town Hall is a museum dedicated to the history of Bratislava. It will take you through the past of Bratislava, from the arrival of the Celts right up to the 20th century. You will see where mayors and aldermen once sat and get the chance to visit the city’s old torture chamber. Climb the tower to enjoy the view of the Main Square and the Old City from above. The neighboring Primate’s Palace is also well worth a visit. The opulent Hall of Mirrors will enchant you; it is here, where the Habsburgs signed the famous Peace treaty of Bratislava with Napoleon in 1805. The Palace also houses one of Bratislava’s rarities: a series of rare English tapestries dating back to the 17th century. Their origin is something of a mystery. They were found during a major refurbishment of the Palace in 1903, hidden behind the wallpapers in the Hall of Mirrors. It was a real discovery, since there were no records whatsoever that the Palace could be sheltering such a treasure. It is assumed that the tapestries were donated as a gift to one of the Archbishops. When the Napoleonic soldiers were closing in on the city, presumably the tapestries were hidden and all records of them destroyed so that the soldiers did not get their hands on them. Not into museums? If you want to get to know the more modern and trendier part of Bratislava, head down to the shopping centre Eurovea. This airy, modern complex offers excellent shopping opportunities for all tastes and budgets. Its riverside promenade, lined with cafes and restaurants, is the perfect place for chilling out during an afternoon. Sunset is best experienced from the unique UFO Restaurant, which “hovers” 87 m above the SNP Bridge and the river Danube. And then, your day over, you journey on, but we hope we will see you soon because one day in Bratislava is never enough.